Pool owners have a responsibility to maintain their pools and ensure a safe environment for anyone who uses them as we all work to reduce the risk of swimming pool accidents in Cape Coral and Fort Myers this summer. The U.S. Consumer Product Safety Commission (CPSC) reports that through the first five months of 2011, there were 55 reported drownings and 63 near-drowning accidents. Now that school is letting out, Fort Myers pool accident attorneys want to remind babysitters and adults who supervise young children in pools to keep a watchful eye to prevent a drowning accident. It only takes a short amount of time for a drowning to occur. 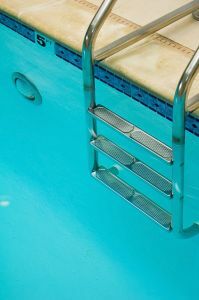 We posted previously on our Florida Injury Lawyer Blog that the CPSC has been investigating pool and spa drain cover manufacturers in compliance with the Virginia Graeme Baker Pool and Spa Safety Act (P&SSAct). Florida leads the nation in the number of drowning incidents for children younger than 5. In most cases, these accidents are caused by proper safety features and advice being ignored. -From 2008 to 2010, an average of 5,100 pool or spa-related injuries each year were treated at hospital emergency rooms for children 14 and younger. Children 4 and under represented 79 percent of these injuries. -76 percent of reported fatalities from pool and spa-related drownings from 2006 to 2008 were children younger than 5. There were a total of 383 drownings for children 14 and under during this time period. -Children ages 12 to 47 months represented 66 percent of fatalities (from 2006 to 2008) and 64 percent of injuries (from 2008 to 2010) in pool and spa-related incidents. -96 percent of victims submersed in water will die. Deaths usually occur the same day that the event took place. -Only 4 percent of near-drowning victims will survive a submersion incident beyond a week. Those who do will undergo intensive medical care for the severe injuries sustained in the accident. The CPSC recently kicked off the second year of the Pool Safely: Simple Steps Save Lives campaign, an effort to reduce entrapment, nonfatal submersion and child drowning accidents. -Supervision – an adult must always be present when children are in the pool. -Alert – not only is keeping an eye on small children a must, but so is keeping the pool area toy and chemical-free. Sunscreen should always be accessible, and food and beverage should only be served in non-breakable containers. -Free – never consume alcohol or drugs while using a pool or spa. In most cases, alcohol creates unsafe conditions for those who use or abuse it. -Emergency – learn CPR, keep a portable and charged phone at poolside, and have a list of emergency phone numbers close by. -Teaching – everyone who frequents the pool should be taught how to swim. Local YMCA’s, recreational departments and other programs offer classes in your area. -You – considering safety at all times means you are being responsible. June is National Safety Month. For more information about summertime safety visit the National Safety Council’s summer safety and health fact sheets. If you or a loved one has been injured in a pool accident, contact the Associates & Bruce L. Scheiner Attorneys for the Injured in Fort Myers, Cape Coral and the surrounding areas. 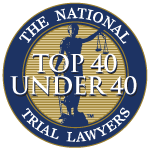 For a free case evaluation call 1-800-283-2900.